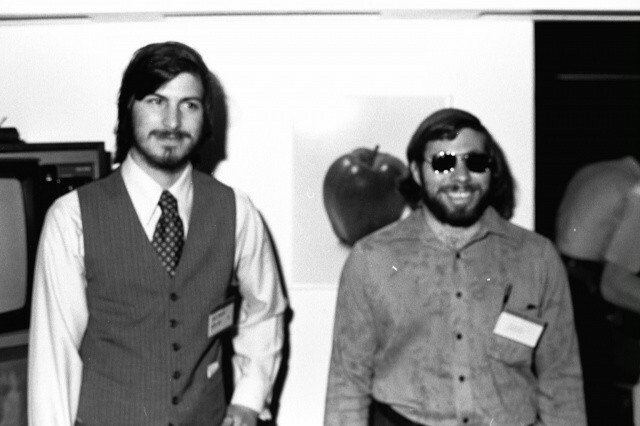 A lot of people are getting excited that today is the iPhone’s fifth birthday, ourselves included, but it’s also arguably an even important anniversary: it marks the day that Steve Jobs and Steve Wozniak first got together and decided to change the world. Today is the day when two great minds first conceived not only Apple, but the PC. On Sunday, June 29th, 1975, Steve Wozniak took a computer he hobbled together out of an old Motorola 6800 CPU and a collection of disjointed parts that he had soldered onto a motherboard, booted it up, and showed his good friend Steve Jobs what would end up being the prototype for the Apple I, the world’s first consumer-marketed, assembled personal computer. Apple, Inc. as a company wouldn’t be officially formed until April 1, 1976. Likewise, the Apple I wouldn’t go on sale until April 11, almost a year later. So today isn’t Apple’s birthday, or even the Apple I’s birthday. But that moment when Steve Wozniak got the collection of parts he’d been working on to finally boot up long enough that he could show them to Steve Jobs was the moment of conception not just for Apple, but for everything that followed, including the Mac, the iPhone, the iPad and pretty much the entire world of consumer tech. If you’d like to know more about what happened thirty-seven years ago today, Walter Isaacson’s official biography of Steve Jobs has the whole story , starting in Chapter Five.